Another day, another reason for the Internet to fret at the thought of a widespread issue with the iPhone and this time, there may actually be something to it, although not to the extent some are reporting. It’s becoming increasingly clear that some devices running iOS 12 are experiencing an issue whereby they refuse to start charging if they are asleep when the Lightning cable is connected. Wake the device up, and charging begins as normal. 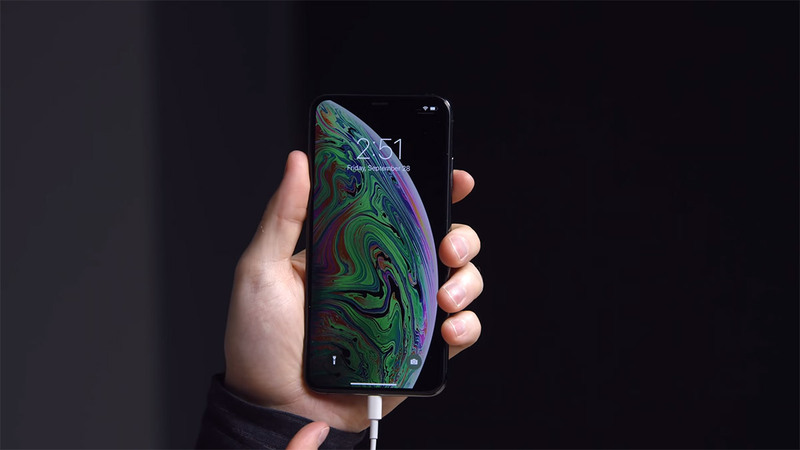 This was originally reported as an issue impacting solely the new iPhone XS and iPhone XS Max, with YouTuber Unbox Therapy happy to produce a video on it, but reports have since confirmed that other iPhones and even iPads are also suffering from the same problem. This would, of course, suggest the issue is iOS 12-related, but we will need Apple to confirm on that front. Anyone experiencing this issue will notice that their device does not appear to charge if it is asleep when the Lightning cable is connected, but if they wake the device with the cable plugged in, it will immediately start charging. It’s possible that it was charging all along, of course, and was merely not waking the screen and making the charging sound like normal, but we’ve not been able to recreate the issue in order to test. On that note, it’s worth remembering that this does appear to be very hit and miss, with some who are seeing the issue not able to replicate it reliably. Interestingly, it’s been noted that those impacted are not seeing the same behavior when using wireless chargers, suggesting this may be related to the USB Safe/Restricted mode that Apple added as part of iOS 11.4.1 in order to prevent brute force unlocks from being carried out when a device has not been unlocked for a period of 60 minutes. Charging should not be affected by this, but it’s possible something has gone awry. We’d expect this to be rectified by an iOS software update at some point, and it’s important to note that most devices will start charge if woken up, so there’s no actual problem with usage here so long as you make sure your device starts charging when you expect it to. Still, it’s something that needs fixing and it’s now over to Apple to do exactly that. This happens every year people on the net and you tubers trying to make money out of a few bug problems. Yeah sure some are bigger problems and we need to know but come on the will people go on about things these days is a joke. Phones these days are unreal from apple and Samsung and both have and do have they problems sure just like anything if you look hard enough nothing and I mean nothing is perfect FACT..! Personally, I think the username bar has been set too low. ..apparently so too have the standards for article titles. I love a good play on words, or perhaps a clever double entendre. Do we get any of that? Nope. We get ‘ChargeGate’. AntennaGate’ was such a click generator, that with every high profile new release, tech-media foam at the mouth at the idea of another revenue storm like that one. BendGate? ChipGate? HissGate? ..bored of it. XS Max user here….I solve the problem by reinstalling the iOS 12 again. So far so good no problem.The phone immediately wake up when i plug in the lightning cable. I hate this ‘get faulty component name, append -gate to the end of it, profit+megalulz’ too. Anyway it’s Redmondpie and an article written by Oliver Haslam, so what did you actually expect? Broad-sheet journalism?! Agreed mate! Couldn’t have said it better myself and you obviously got what I meant. Then you leave yourself vulnerable to law enforcement. No thanks. My XS Max works perfectly with no bugs.